While most people resort to taking dietary supplements to lower high cholesterol, natural methods are being pushed and highly recommended by doctors and nutritionists to maintain and improve one’s well-being. Eating wisely is just like choosing what is right from wrong. Consuming food with high fatty content reduces High Density Lipoproteins (HDL) AKA good cholesterol in your body, so it’s better to go for white or lean over red and bloody. You may also consider eating fish as substitute for meat. As for cooking, use olive oil or sunflower oil instead of regular palm and coconut oil, as the latter two contains higher saturated fat. It is better to go for baked, steamed, stewed or poached food instead of fried. Eat more fibrous grub such as fruits, veggies, oats, and nuts, while cut down a couple of notches on food with high calories and carbs. Car is to fuel as body is to food. Thus, the logical thing to do is to use that fuel, or as the analogy goes, burn it. And by burning it, not just by simply go through with your day. Watching TV or sitting on the same office chair for 8 straight hours won’t do the job. Do more dynamic physical activities, such as brisk walking, jogging, sports or aerobics to release that pent-up energy. A good 45-minute cardio a day is ideal for lowering bad cholesterol in your body. As long as you don’t abuse alcohol by going on a binge drinking spree, then you’re fine. Drinking 2 to 3 glasses of red wine daily reduces the risks of heart-related diseases. Resveratol, polyphenol and flavanoids are anti-oxidants found in wine grapes raises the levels of HDL in your body, while protecting the lining of your heart’s blood vessels to prevent blood clotting. Same goes beer drinkers. Beer, particularly dark beer, has antioxidants that relatively provide the same benefits as that of wine. Cigarette and other tobacco products contain free-radicals that cause the constriction of blood vessels and damage to the arteries’ lining. 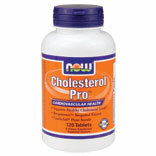 These effects inevitably lead to build-up of HDL and other fatty substances on the artery walls. Kicking the habit improves blood circulation as the carbon monoxide level in your body drops significantly, while long term benefits include avoiding risks of acquiring heart diseases. As the song goes, “Relax!” Stress comes in many forms, and it’s going to get you whether you like it or not. Stress imposes the increase of cholesterol level in your body by triggering chemical imbalance and the release of fatty substance. For most people, breathing exercises and yoga are the best counteractions for stress. Although, techniques to alleviate stress may still vary, depending on the person’s character and preferences in handling stress. Aside from taking prescribed supplements, natural supplements such as garlic cloves, barley, green tea, oats and artichoke are still considered far more effective and safer. 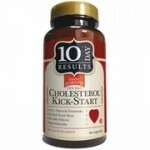 Most of these traditional supplements have the same benefits for lowering your cholesterol level.